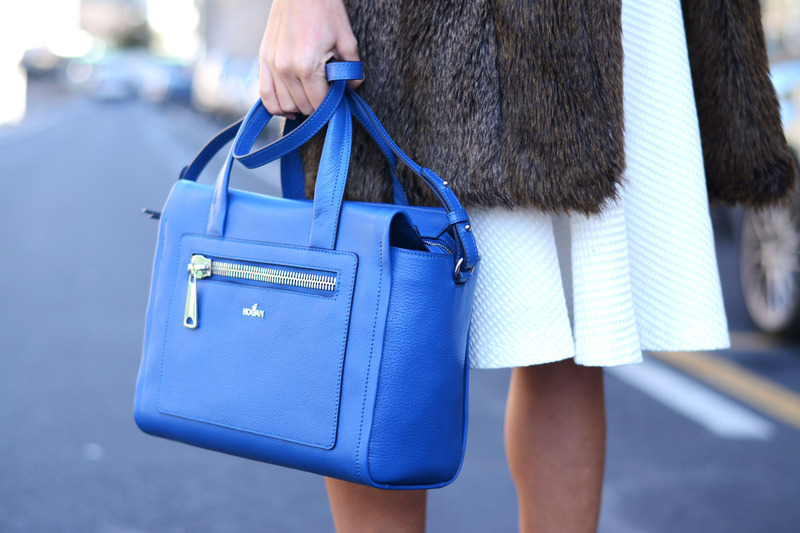 A touch of color from last Milan´s Fashion Week, thanks to this electric blue bag from Hogan; my outfit was "so simple" so took this bag with me that day. Now, lets go to talk about my skirt, maybe the "bargain of the month" due to its low price : 5.90€ from Zara-last-sales !! Me encanta la falda midi con el abrigo de pelo y el toque de color con el bolso azul queda precioso! Hay nuevo post, Daniel Wellington, el nuevo objeto de deseo? No estoy acostumbrada a verte en este estilo y te queda genial. I bet you'll rock that skirt the whole spring! I looks amazing! Definitely the skirt was THE bergain. It's pretty amazing and so ladylike. Perfect. Talking about perfection that's what this outfit looks like to me. Specially because that detail pop of color given by the bag. Really loved it. Me gusta mucho esta falda!! Te dejo con una selección de productos de Zara que puedes encontrar en el descubridor de moda Pretalist! Wooow me encanta el abrigo!! Y el bolso *_* OMG!!! Love how you combined that midi skirt! Me encanta el look y el toque que consigues con el bolso klein! La falda es una preciosidad, me encanta.